Azure data centers and Regions: How to pick a best azure region. Azure data centers are located worldwide and a team/division MCIO (Microsoft Cloud Infrastructure and Operations) manages all the data centers and its operations. Microsoft divided all the data centers into several regions called “Azure Regions” based on geographic locations. Currently Azure services are available in more than 35 regions around the world and increasing the count rapidly. But all the azure services are not available to each data center, so you have to check the availability of required azure service in the closest region. However there are many parameters need to be consider like cost, redundancy, and network performance etc. because each region have different cost, redundancy option and network performance. So if your requirement is best performance then you can follow below steps before deploying your service otherwise you can compare each parameter region wise. 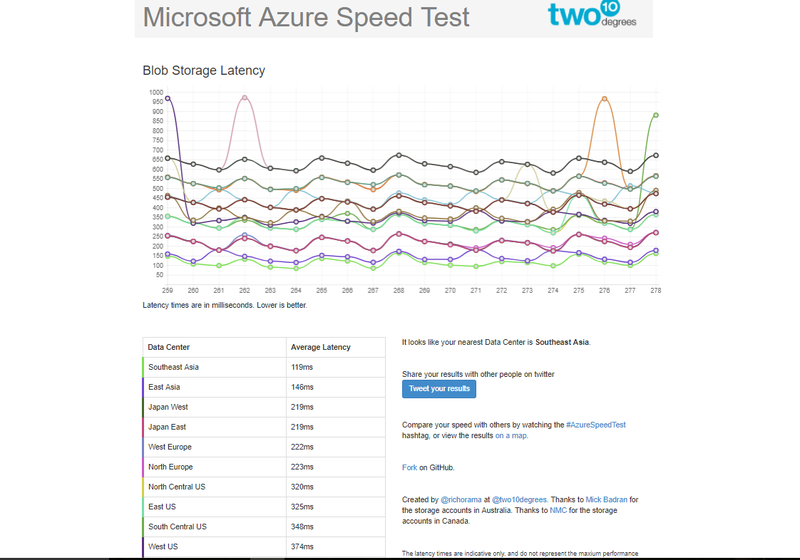 To decide where you should deploy your workload, there is a tool Azure speed test that can suggest the suitable region for your workload. 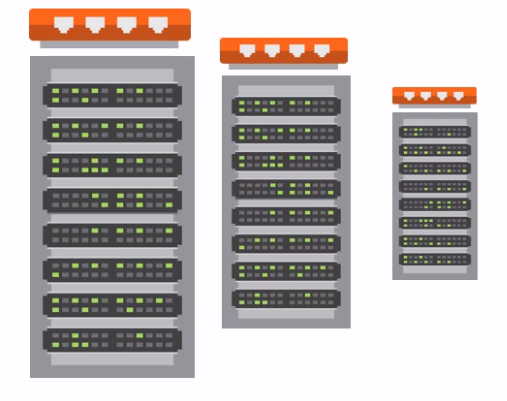 You should deploy your workload to the closest data center that has the shorter latency time but that region should support your workload type. So move to the next step. 2) Check availability of the service in selected region. 3) If required service is not available in the closest region check for the next closer region. If you are using old azure portal (Classical portal), there is concept of affinity group. Affinity groups improved performance of multi-tiered applications. Resources that are placed in same affinity group minimize latency between those resources because these resources share same data center. To understand this rack, you have to aware about datacenter architecture. There are multiple racks in each datacenter. Each rack has 40 to 50 blades and has network switch on top to connect other racks. 20 racks groups together to make a cluster (also called stamp) and all hardware in a cluster uses same processor generation. When all resources are bound to an affinity group, they use same cluster. If you specify the affinity group and create all dependent services in same affinity group, unnecessary network latency avoided and performance will be improved.